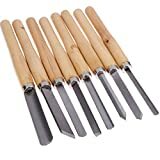 If you are someone who does a lot of crafting with wood, then you probably already know what a chuck is. A chuck is a very useful tool for woodworkers. It can easily be attached to a lathe and is used to hold a chunk of wood rigidly in its place so that you can work on it. A chuck is commonly used for precision drilling amongst woodworkers. 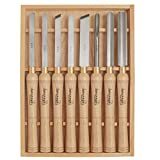 Because of its importance in almost all forms of woodwork, there is no doubt that having a well-designed and effective chuck is vital for precise and detailed crafting. The Nova 48202 G3 Wood Turning Chuck has obtained quite a bit of fame in the market for its outstanding performance and effectiveness. It may not be perfect, but it does indeed do the job right. In this article, we will look into the many features that this amazing chuck provides, that truly make it stand out from the rest. This might not seem like a very important feature to a lot of wood craftsmen, but trust me, it really is! 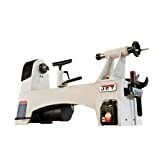 This feature is particularly important when you have a medium to a small lathe which usually comes with a small spindle. The chuck is compact in size compared to many other chucks in the market, and also has less weight. Due to the smaller size, it is less likely to overhang from the spindle. The length of the chuck’s body is around 1.79 inches, which makes it quite compact compared to Nova’s other offerings such as the Super Nova2 chuck and Nova Titan Chuck. Don’t you get quite angry and frustrated when you do not receive all the complimentary items to maintain, repair or assemble a product when you purchase it? If you do, then I hear you! Unfortunately, with many chucks out there in the market, you will have to spend money on getting additional necessary accessories to use them properly. This could even include the most crucial items such as an adjusting wrench, jaws, or even Allen screws. However, this is not the case with the Nova 48202 G3 Wood Turning Chuck. Upon purchase, you not only get the chuck itself, but you also get a very comprehensive and detailed instruction manual that points out exactly how to get the chuck appropriately prepped for use. Other than that, you also receive an adjusting wrench, a couple of Allen screws and a wrench for adjusting the screws, and a set of numbered jaws. Many poor quality generic chucks in the market are not good at staying put after it has been fit into the spindle properly. These off-brand chucks often tend to overhang, or even fall-off while being used. This is because these chucks aren’t well constructed, and they are just incapable of holding the block of wood rigidly. This is especially a problem if the block of wood is large and has a lot of weight to it. This is a major issue because you are very likely to mess up drilling your wooden block evenly if the chuck overhangs or falls off. 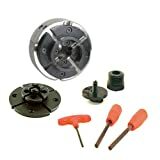 However, with the Nova 48202 G3 Wood Turning Chuck you will not face this problem at all. This is because this chuck gives you an option to secure its position when placed on the spindle by means of an Allen screw. The chuck has a hole at the bottom to screw in the Allen screw which will definitely keep it rigid and prevent it from overhanging or falling off when used. 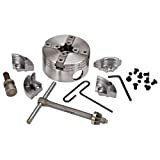 Many jaws in the market come with different individual parts that need to be properly assembled to use the chuck correctly. However, with the Nova 48202 G3 chuck, there aren’t too many individual parts that need to be attached appropriately. This makes the entire assembling process smooth and easy. Other than that, a detailed instruction manual is provided to help you step-by-step with the assembling process. Each individual jaws provided in the package are numbered, and all you have to do is screw them into their respective jaw slides on the chuck. The jaw slides are also appropriately numbered, to prevent you from making any mistake when attaching the jaws. A T bar handle is provided to adjust the jaws. You can use this to open up or close the jaws, in order to place wooden blocks in it. The chuck is very strong and durable, and it will last for a long time. It is easy to assemble, and the jaws provided are numbered. Comes with all the required items for assembly. You don’t have to spend money on any additional items. The chuck can be locked in place to prevent overhanging. A woodworm is included with the kit for drilling. Chuck can be a bit wobbly after securing it in place. May require an additional adapter to fit some lathes. Everything is covered in oil out of the box, and need to be cleaned before use. Question: Can this chuck fit a lathe with a 9-inch swing? Answer: Yes, the Nova 48202 G3 Wood Turning Chuck can support any lathe up to a 14-inch swing. So, it should definitely be suitable for a lathe with 9-inch swing. Question: Can you tell me the diameter of the center hole? Answer: The diameter of the center hole is 1.5 inches. Question: What can I use to remove the oil from the chuck? Answer: You can simply apply WD40 and wipe the chuck with a rag to remove the oil. WD40 can be used to lubricate the chuck as well. 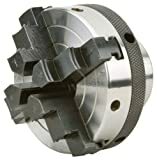 There are many chucks available in the market, but the Nova 48202 G3 Wood Turning Chuck has been able to obtain mainstream success because of its reliability, longevity, and effectiveness. If you are in the market for a chuck that is easy to assemble, and can hold a piece of wood in place with no instability, then look no further! This chuck is exactly what you have been looking for.